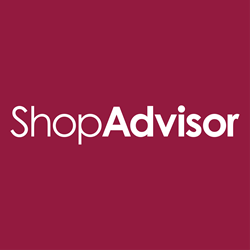 February 6, 2017 — ShopAdvisor, Inc., the leader in drive-to-store mobile proximity marketing announced today that it has received additional material funding from its current investor syndicate, including Jeff Papows, CEO of ShopAdvisor. The funding comes on the heels of ShopAdvisor exceeding its business objectives in 2016, including growing revenues by more than 300% year-over-year and expanding its customer base across many segments including CPG, apparel, food and beverage, health and beauty, consumer electronics, retailers and digital agencies. ShopAdvisor, Inc., the leader in drive-to-store mobile proximity marketing announced today that it has received additional material funding from its current investor syndicate, including Jeff Papows, CEO of ShopAdvisor. The funding comes on the heels of ShopAdvisor exceeding its business objectives in 2016, including growing revenues by more than 300% year-over-year and expanding its customer base across many segments including CPG, apparel, food and beverage, health and beauty, consumer electronics, retailers and digital agencies. In 2016 ShopAdvisor grew its revenues 300 plus percent over 2016. The company added dozens of new clients spanning many different markets. New clients ranged from big box retailers to regional CPG companies. The company also saw a dramatic increase in the number of clients who repeatedly relied on ShopAdvisor to power their mobile proximity marketing campaigns. Of particular note was the growth in the amount of ShopAdvisor business coming via digital agencies big and small with much business now emanating from this channel. Leveraging the company’s acquisition of Retailigence earlier this year, ShopAdvisor delivered significantly enhanced version of its Intelligence Suite. The new version featured across-the-board enhancements to its Product Intelligence, Context Intelligence and Shopper Intelligence modules. The new version of the ShopAdvisor Platform enables quick and cost-effective development and execution of proximity marketing campaigns, which deliver personalized and compelling shopping experiences that take shoppers from their smartphones into stores to purchase products. ShopAdvisor also introduced new advancements to its AppNET and to its Retail Partner Program, which extended the scope and value of the ShopAdvisor ecosystem for all participants — consumers, media/publishers, brands, retailers, agencies, and mall operators. Now more than 50 AppNET partners are accessing the ShopAdvisor platform daily for its contextualized insights on shopper, location and product availability information. The company also expanded its unmatched retail and CPG product availability intelligence by becoming an inaugural member of Nielson’s Connected Partner Program. ShopAdvisor, Inc., enables brands, retailers, agencies and media to deliver shopping experiences that drive consumers’ path to purchase in brick-and-mortar locations, i.e., “clicks to bricks.” ShopAdvisor’s mobile proximity platform combines real-time, contextualized shopper, product and location information with data sciences to deliver each consumer a uniquely personalized and compelling shopping experience that spans from their smartphone into the store. ShopAdvisor’s customers include dozens of leading publishers, brands and retailers, including Elle, Cosmopolitan, People StyleWatch, Marie Claire, Men’s Health, Cooking Light, Real Simple, kmart, Dell, Walgreens, Hallmark, Asics, Anheuser-Busch, Pepsico and P&G.